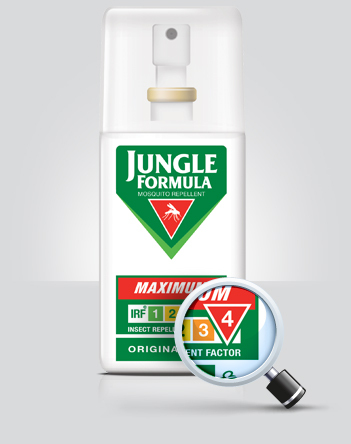 IRF® (Insect Repellent Factor®) is a new and unique tool that helps you to choose the repellent you need to protect you and your family from mosquitoes and other biting insects. The higher the IRF®, the stronger you are protected. Available in Kids (IRF 2), Strong (IRF 3) & Maximum (IRF 4). Find IRF® prominently on the front of each pack with all necessary information explained on the back of pack.